The 39th annual “Utah Taxes Now” Conference will be held on Thursday, May 18, 2017from 8:00 am – 1:30 pm at the Grand America Hotel, 555 South Main Street, Salt Lake City. To view the full agenda, please click here. 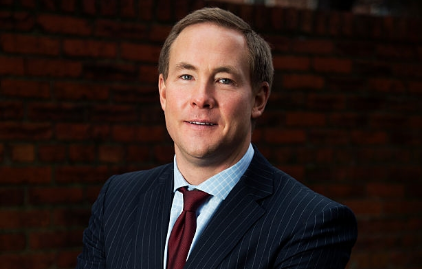 Keynote Speaker: Chris Campbell, U.S. Senate Finance Committee, Majority Staff Director. Learn about Federal Tax Reform from the Source. To view the presentation materials (audio coming soon), please click here. Seating is limited, reserve your seat today! Attendance is $100 for Taxpayers Association members and $130 for nonmembers. Leaders from the Utah House of Representatives, the Senate, the Utah State Tax Commission, along with policy experts and community leaders will cover a broad range of tax issues as well as the Association’s priorities for tax reform during interim meetings of the legislature in 2017. CLE and CPE credit will be available. Also, mark your calendars for the Teed Off on Taxes golf tournament on Thursday, June 8, 2017at Eaglewood Golf Course in North Salt Lake. Register for either event by contacting Bren at 801.972.8814, bren@utahtaxpayers.orgor by following the instructions below. For sponsorship opportunities at both events please contact Billy Hesterman at: billy@utahtaxpayers.org. « 2017 Legislative Scorecard Released!